Fuelled primarily by private space faring companies such as Space X and Blue Origin, the prospect of people actually going to Mars has become a hot topic. It would appear that the moment of the first human footprint in the Martian desert is rapidly approaching. While some fictions are turning in to facts, the speculative potential of Mars is not diminishing, but flourishing more than ever before. Gardening Mars explores the notion of terraforming Mars – the transformation of Mars into a planet that is habitable for organisms originating from Earth. An interview with Jorge Vago, project scientist for the ExoMars 2020 mission at the European Space Agency (ESA) ESTEC in Noordwijk, the Netherlands, by Klaas Kuitenbrouwer (KK) and Robin Bergman (RB), both from the R&D department of Het Nieuwe Instituut, on the notion of terraforming and ESA’s vision and motivations in relation to the prospect of humans going to Mars. Ever since the astronomer Giovanni Schiaparelli perceived ‘canali’ on its surface, Mars, of all bodies in the solar system, has served most often as the setting for scenarios of a second habitat for terrestrial life. Since the 1960s space agencies like NASA, the European Space Agency (ESA) and Roscosmos have taken a careful, incremental approach to developing Mars missions, driven by a fundamental curiosity towards Mars itself. But as the technological possibilities continue to develop, so too do ecological urgencies on Earth, as globalisation reaches its peak and unprecedented amounts of capital collect in the hands of tech companies with a hugely ambitious company culture, Mars becomes a canvas on which to project more Earth-centric scenarios, stemming from different values and priorities. Gardening Mars investigates these scenarios and what drives them, in a public programme consisting of an exhibition, evening events and workshops. KK: Het Nieuwe Instituut is developing a project around the concept of terraforming Mars. For this we are looking at space faring through a cultural lens. There is a lot of interest from various parties currently in Mars, all from different backgrounds and with a variety of motivations. How would you describe ESA’s interest in Mars? JV: The primary aim of the present ESA planetary missions is to better understand the evolution of the planets. Planets are commonly seen as lumps of rocks floating in space, but this is a misconception: they also have an evolution, a birth, a death and a life between. The conditions on their surface and their interior are subject to change. The ESA is interested in how terrestrial planets formed. There are great similarities in their formation and their components. Why did the terrestrial planets take such divergent paths? We need to understand why and what is important about those paths. Atlas of Mars by Giovanni Schiaparelli, 1888 (with the South Pole on top). During the early stages of formation, as planetesimals [small fractions of a planet, ed.] collide and acrete, they free up a great deal of energy. Early planets are molten balls of magma. The moment the magma starts to cool down by radiating heat into space, the lava is no longer able to contain the gases that are dissolved in the magma, and they start to bubble up. These gases released by the magma form the primordial atmospheres of the planets. They are very thick, and around 200-300 bars, like a pressure cooker. When the temperature of the atmosphere crosses the temperature of the critical point of water, the atmosphere can no longer retain the water. In just an instant most of the water in the atmosphere condenses and falls on the surface of the planet, and large, or even, global oceans are formed. These oceans are still very hot - around 200 degrees - because of the pressure of the atmosphere of around 100 bars. This process was likely identical for all the atmospheres of the different planets, at least for the three terrestrial planets. So all terrestrial planets originated with oceans at some point. What happens afterwards varies. In the case of Venus, the temperature was relatively high, caused by the close proximity to the Sun. It is likely that Venus had water for many millions of years, but that at some point it evaporated into space, due to the runaway of greenhouse gasses. It is not crazy to think that Mars also had liquid water or even oceans. But I don’t think it was ever a tropical place, with palm trees and bananas. It has always been pretty chilly - think of it as a colder version of present day Iceland, with a lot of frozen lakes and volcanoes everywhere. The planet was still cooling down with a lot of heat coming from below, resulting in melting glaciers with much liquid water at their base. Of course the distance from the Sun is an important factor. In the case of Mars, it is also the size of the planet. Mars has a weaker gravity, so it cannot hold a thick atmosphere that well, compared to Earth or Venus. It is easier for molecules in Mars’ atmosphere to achieve escape velocity and leave the planet. This probably led to a rapid thinning of Mars’ atmosphere. Images of Mars, taken by HST's Wide Field Planetary Camera-2 on March 10, 1997, just before Mars opposition, when the red planet made one of its closest to the Earth (about 60 million miles or 100 million km). These pictures were taken during three HST orbits that were separated by about six hours. In the long-term perspective we know we are going to send astronauts to Mars and eventually people will be living there. This is just a matter of time, unless society implodes and we go back to the Middle Ages. If we look at the progress that has been made until now, it is fair to say that within 50 to 100 years we could expect there are people walking around and living on Mars. There is an important ethical question. What do we need to do to get there in a responsible manner? If people are there they will have an effect on the environment and they will ruin certain systems. We have to study the impact of people being there before we can actually go there. In essence humans are big walking lumps of cohabitating microorganisms, so if there is life on Mars close to the surface we will interact with those life forms. And we will definitely have a significant effect on them and screw up their system. In this sense we have a certain responsibility. We do not want to go down in history as the species that went to another planet and wiped out all the life that was there. If there is life on Mars we need to know where it is and seek to protect it. The reasoning behind the planetary protection regulations is basically that you want to make sure you do not contaminate the place with Earth’s organisms that could propagate there. There are two main reasons for this: one is avoiding false positives. Imagine someone said they found life but in reality this was not true, because it was actually the microbes they brought along themselves. The other one is that you do not want to affect the opportunities to carry out science for future generations. There are five planetary protection categories. The first three do not apply to Mars but only to let’s say boring objects. But the moment an object has the remote possibility of either harbouring life today or of having had life in the past, they fall in either planetary protection category 4 or 5. Category 5 is about protecting Earth. It applies to sample return missions. So you go to a place where there may have been life, and you bring samples back to Earth. Category 4 applies to objects that may have or have had life. There are 3 subcategories here: 4a, 4b, and 4c. The surface of Mars is divided in to two types of terrain: normal terrain, and what is called ‘special regions’. Special regions are those places where, if you were to release Earth micro organisms today, they would have a chance to prosper, develop, multiply and metabolise. For a place to be a special region two things need to happen simultaneously. One is for the temperature to rise above -15 C for a certain amount of time and at the same time any water that is there should be likely to be taken up by a micro-organism for metabolic processes. This is called the water activity. NASA talks about water with some nonchalance, by the way. What they talk about often as water is actually brines - extremely salty waters with very low water activity. For most parts of Mars today, when the temperature is very low, the water activity is high and when the temperature is high, the water activity is low. The parts of Mars that are currently classified as special regions are those with ice within one meter of the surface, and certain places where we see signs of running liquid. All the recent American missions like Spirit, Opportunity and Curiosity are of category 4a, which means there are not allowed to go into those special regions. The Curiosity mission, in particular, is sensitive because it has a large radioactive generator built into it. If the generator had melted the ice (for example in the event of a crashed landing) there is a chance that the bacteria from Earth would start to reproduce, because of course it also carries some micro-organisms from Earth. So, at the time of its launch there was a concern that Curiosity could create its own special regions in the event of crashing. As a consequence, Curiosity was not permitted to land anywhere near to sub-surface ice. Like all 4a missions, it stays in ‘normal’ regions. Category 4c does allow you to go to a special region and search for signs of life. But to date there has only been one mission that complied to the category 4c requirements and that was the Viking mission. They had to heat-sterilise the entire capsules. So, they put them in the oven. However, the really interesting category is 4b. This applies to the ExoMars rover, and it is going to be the first one in this category. Category 4b means: you are allowed to search for life. Note that all the American missions to date have never said they were searching for life, with the exception of the Viking landers. Spirit and Opportunity where looking for water. What they communicated about Curiosity was that it was researching ‘habitability’. The main activity of the ExoMars rover is digging and searching for signs of life from around four billion years ago, when the conditions on Mars where similar to those when life appeared on planet Earth. A 4b mission is not allowed to go into known special regions, but the parts of the spacecraft that are involved in the search and analysis of bio signatures do comply with the category 4c requirements. There is only one way the ExoMars rover could search for life today in a special region and that is if the special region is under the ground. The rover itself is clean, but not ultra clean. The only things that are ultra clean are the drill that goes down two meters into the subsurface, the entire sample processing chain and the analysis part. The drill and al the sample processing instruments comply to category 4c requirements. The ExoMars rover is looking for past life, but its instruments would be able to detect present life if they encountered it. This is also why rover operates in the normal regions. It is a strategic decision planned in advance. A special region is a fuzzy concept, and it changes all the time; every year we meet and we change or slightly revise the definition. If the ExoMars rover drilled one and a half metres deep and found living bacteria there, we would not have known that it was a special region beforehand, but it then becomes a special region. A 1:4 model of the ExoMars rover at the ESA pavilion, 2007 International Paris Air Show at the Le Bourget airport. KK: The current drive to send humans to Mars is largely fuelled by private space companies like SpaceX, Planetary Resources and Blue Origin. These companies do not seem to share the concern for extra-terrestrial in the way that scientific communities such as NASA and ESA do, for example. Is this care and precaution specific to the scientific community? JV: The United Nations (UN) has delegated these questions to the committee on space research (COSPAR). All matters regarding planetary protection rules go via this UN organisation. Adhering to their rules is voluntary, but in practice all space faring agencies adhere to COSPAR regulations. Formally you could not oblige an agency to adhere to their regulations, but in practice an organisation or company that fails to do so will be placed in a vacuum by all major space faring organisations like ESA, NASA or JAXA. If, for example, SpaceX really wants to send a Dragon capsule to the surface of Mars, they have to adhere to the planetary protection rules. We conduct planetary training courses for all companies that want to take part in ESA, NASA, or Roscosmos missions. RB: So the COSPAR regulations with their various levels and guidelines are carefully formulated, but they are also something of a gentlemen’s’ agreement? JV: I agree. It’s a gentlemen’s agreement, but all the large organisations and nations back it. If Elon Musk comes along with an idea, the community will ask him to adhere to the planetary protection regulations. The private companies and the governments will at some point align if the private companies want to qualify for government funding. This is not only science; this is also policy followed by the scientific community. All agencies have agreed on this policy to the reduce the possibility to harm the local environment, which I find very positive. KK: Imagine a scenario where the plans and ideas of Elon Musk and SpaceX are backed by an enormous amount of money from Silicon Valley and therefore do not need NASA, ESA or the Russian Roscosmos for their money and services. Is there a stable amount of checks and balances that would make something like this highly unlikely? JV: If someone wants to do something privately, it is fine. If they submit a plan with what it is they want to do, and if it something reasonable we would be happy to help. We could provide communication antennas. Even if you do not need money we would like to help. But, for example, if they want to send baboons to Mars, we will stop it. I don’t think they would get away with it. The agencies would make life difficult for them in other areas. KK: Mars has always been a projection screen, a canvas portraying human desires and very Earth-based fantasies. This was the case with Schiaparelli’s ‘canali’, but it still holds true today. If we look at Curiosity’s photos of Mars we see red valleys with canyons and rocks on the horizon. Not unlike images of the Nevada desert and the Arizona and Utah canyons. This is no coincidence in my view. Not only because Mars happens to look that way. This picture is selected from all the pictures made by Curiosity. Such images fuel the narrative of a place that we can go to and colonize - a new pristine landscape that we can conquer and then inhabit. JV: It helps, in the sense that you could imagine settlers, horses and carriages and project it on to Mars. It so happened that Mars conveniently provided a similar landscape. But if you take a look at the pictures from the Phoenix landing site from 2007, which was sub-polar, things are very different. Basically this is a flat landscape with absolutely nothing as far as the eye can see, except for some polygonal frozen formations. The phoenix lander was a fixed lander and did not rove. It made a very important discovery: perchlorate salts, which were found there for the first time. KK: Within the pictures made and selected from Mars but also in the sites of the Mars Analogy Research stations, and in the way they are pictured, I thought I saw a kind of romantic preference. What are the connections between Mars Analogy Research Stations and Mars itself? JV: Mars Analogy sites are chosen to mimic the situation on Mars for the astronauts. However, each analogue resembles a different aspect of Mars. Some places are primarily designed to look the part. They serve to study the social, human aspects. So for example, there is no internet, limited electricity resources, and they mimic the delay in communication with Earth. An interesting case is the Mars 500 study, where they simulated a one-year trip to Mars. After one year the astronauts had to perform the tasks that they would on Mars. Afterwards they have to wait another year before they were allowed out. I think there were four astronauts and only one or two could go outside. Pretty extreme. Another type of Mars Analogy is where they mimic the physical chemical and mineralogical conditions on Mars. The aim is more to test rovers and instruments. One site is the Atacama - a very dry and high altitude desert in Chile with high doses of UV light. Above 4000m altitude conditions are often very cold and windy. There is an analogue site in Spitsbergen, a very cold and wet environment but also with interesting mineralogical formations. One of the things we have tested there is astronauts’ suits and astronaut-like operations. I would not consider it very Mars analogue because it is generally too wet. One key thing we can’t test on Earth is the cosmic radiation. On Earth our atmosphere protects us from cosmic radiation. On Mars this is not the case, the atmosphere of Mars is too thin - only 6 millibars. Therefore, the cosmic radiation is way less filtered. The same goes for solar radiation. The solar wind is basically formed by high-energy protons from occasional solar flares, so-called proton events. We could test this on the Moon, where the ESA also wants to build a Mars Analogy research station. KK: There seem to be three more or less distinct scenarios at play today. One of them follows the scientific approach. It unfolds around a very careful presence on Mars and is concerned with not contaminating it. Another is a more Wild-West type of narrative: Mars as the place to conquer and colonise. This one is also rather mythological - it is humankind’s manifest destiny to become a multi-planetary species. This is commonly the story told by the new private space companies. Many of these organisations are based in California and are backed by money from Silicon Valley. 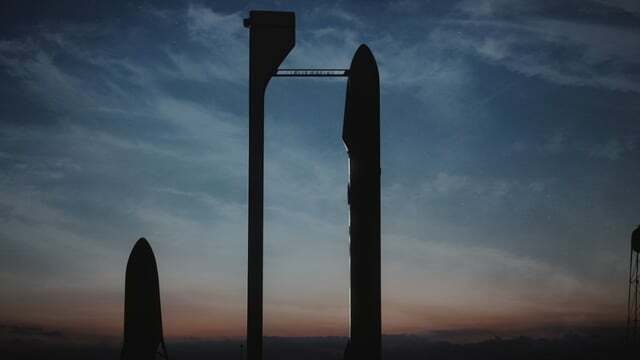 They take a primarily economic approach, seeking to mine asteroids for platinum and other materials and use them to build a spacefaring infrastructure outside the Earth’s gravitational field , which would make it much easier to interact with Mars on a regular basis. They see Mars as a potential mining facility, too. They almost operate from a gold rush perspective. A third sees Mars as an experimental place, as a free zone for technological post-human development. Evolutionary robotics, genetically altered species, and urgent political independence for Mars. Looking at this from a cultural perspective, what is your opinion about colonizing the solar system and perhaps beyond? JV: SpaceX is very much coloured by Elon Musk’s vision and might not be representative for what other companies think. Planetary Resources is maybe even more radical, but they focus primarily on mining asteroids. The Mars One vision is still far off. The approach of SpaceX seems reasonable to me, because they take steps incrementally. A large colony of a thousand people sounds overly complex but SpaceX’s plan to put a Dragon capsule on Mars seems achievable. Due to their close collaboration with NASA, SpaceX also has to apply to the United Nations planetary protection plan. This everything together will form this convergence. If we found out that Mars is as dead as the Moon I am not against terraforming or para-terraforming Mars, but we would have to do it in a responsible way. To get a good idea of where we are, we could compare this project with the Apollo space programme. The Apollo programme had the benefit of a strong political commitment that could engage several consecutive government administrations. I would say a human mission to Mars at this moment is about as difficult and as expensive as the Apollo programme was in its time.